The Zoella lifestyle range is always up there with some of the best in the Boots gifts, bringing out new designs and products each year. This year I liked the look of quite a few but the Zoella Caramel Hot Chocolate and Mug stood out the most. I like that Zoella isn't plastered all over the mug so it's a little more timeless. A new brand in the lifestyle section this year is TGI Fridays. I love a good look through the food range, adulting at it's finest, and it's sometimes got stuff more suitable for my husband or brother. The TGI Tasty Rub Selection caught my eye as it a bit of a stocking filler or to go along with a burger recipe book. 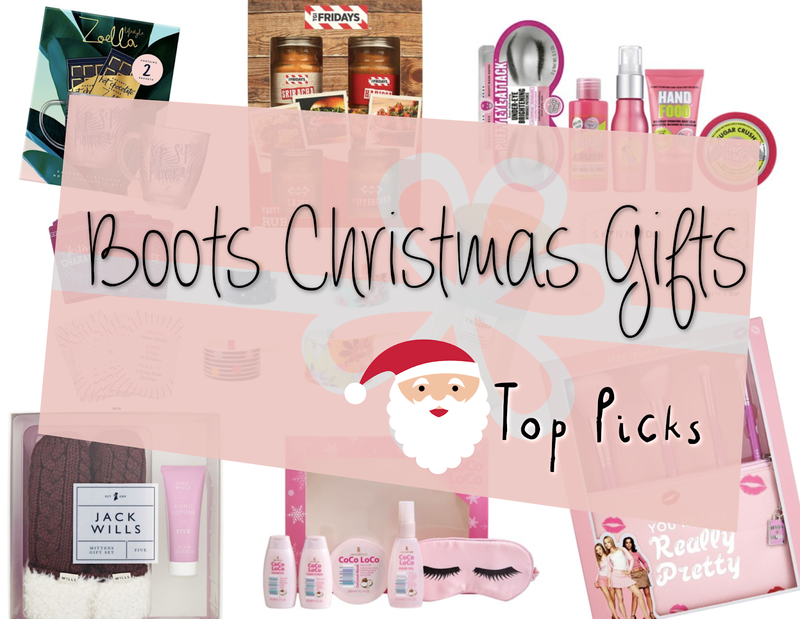 Soap and Glory is a classic Boots brand and they are always leading the way with the gift sets. One of my favourite scents is the Sugar Crush so it's no surprise Soap and Glory The Zest of Times made it into my top picks. There seems to be a big range of games and quizzes in the gadget and novelty range and I quite like the idea of the Festive Charades, I mean who doesn't love a good game or quiz on Christmas Day? This might be a good one to put inside a Christmas Eve Box. How cute are the Joules Measuring Cups? 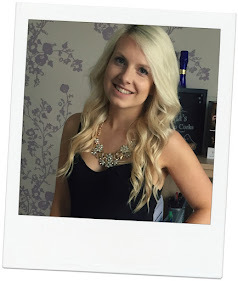 Another home and lifestyle gift that combines adulting, responsibilities and being on trend. Candles are always a good idea at Christmas and it's fair to say there's loads to choose from in Boots. Yankee Candle and Woodwick are up there with my favourite brands and the only reason the Woodwick Calming Retreat Candle made it to my top pick over the others is the layered colours and because it matches my living room. Skinny Dip is quite a quirky brand with some beaut gifts and I love the Skinny Dip Tweezers and Pouch because of all that glitter! 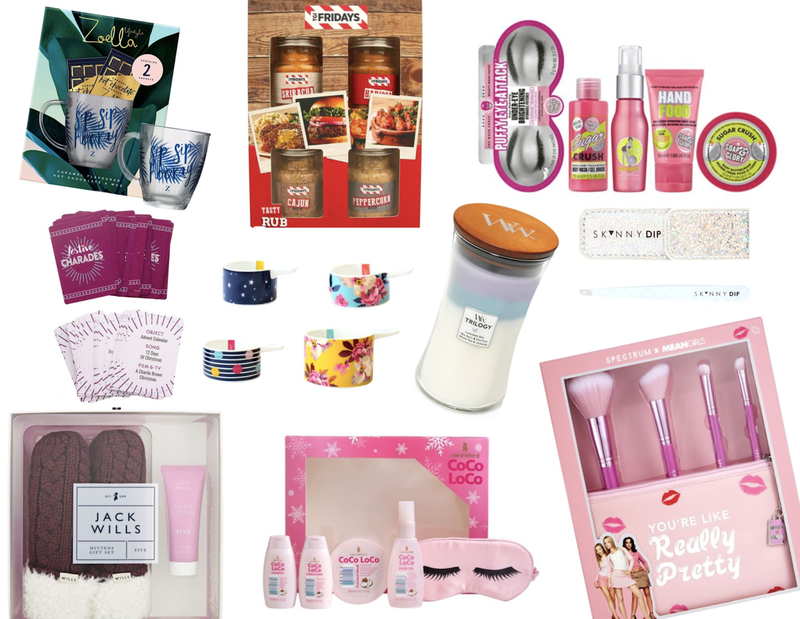 Jack Wills always make it to my top picks, the gifts are good value and have a good mix of fashion and beauty products. I like the look of the Jack Wills Mittens Gift Set, probably because that Burgundy colour is my favourite in Autumn and Winter and because I'm ready for all things cosy. I use Lee Stafford products all year round so it's always nice to see what gift sets they come up with and the Lee Stafford Coco Loco Gift Set looks good for all ages. The last one, and probably my favourite one is the Spectrum Mean Girls Brush Set. Spectrum is a new one to Christmas at Boots and when Mean Girls is involved you know it's going to be a popular one. Nice selection of gifts you've got there. I've actually always wanted to get Yankee Candles but I just never got around to buying them!